Now any magnetic surface can proudly display these Super Magnetic Basketball Awards. These awards come in both a male and female versions. In either version the players are shown dribbling a full color basketball with the appearance of them getting ready to drive to the net to score the winning basket. They stands 7" tall and boast a pewter and gold finish. 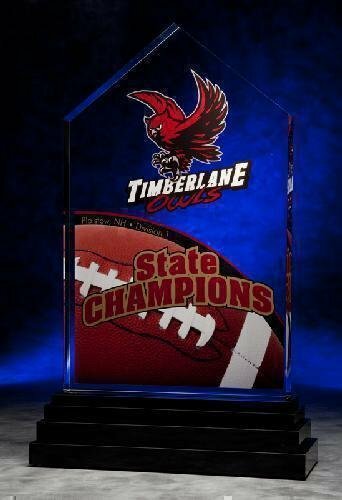 The engraving area on the bottom of the awards can accommodate whatever personalization needs you require. In addition to its magnetic capabilities these items also come with a kick stand that provides a sturdy base to allow it to sit anywhere. 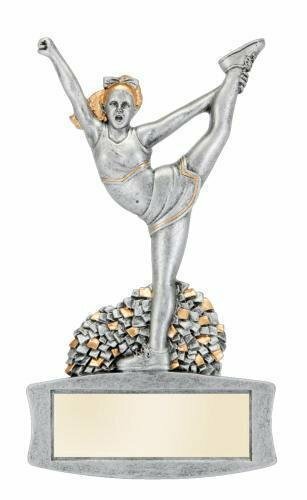 Now any magnetic surface can proudly display this Super Magnetic Cheerleader Award. The cheerleader is show doing a high leg kick while her pom poms lay at her feet. 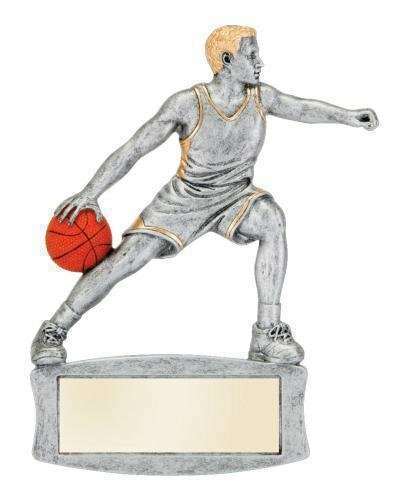 This item stands 7" tall and boasts a pewter and gold finish. The engraving area on the bottom of the award can accommodate whatever personalization needs you require. In addition to its magnetic capabilities this item also comes with a kick stand that provides a sturdy base to allow it to sit anywhere. 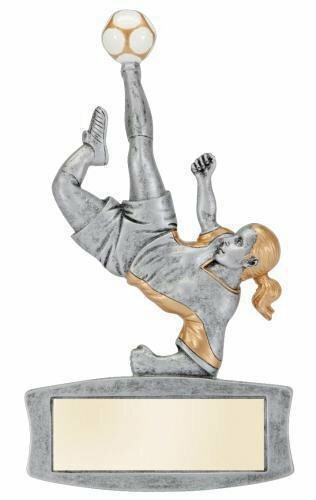 Now any magnetic surface can proudly display this Super Magnetic Football Award. The football player is shown cradling a full color football along with an outstretched arm giving him the appearance of running for that winning touchdown. 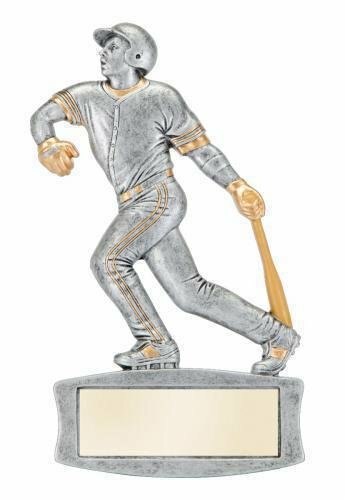 This item stands 7" tall and boasts a pewter and gold finish. The engraving area on the bottom of the award can accommodate whatever personalization needs you require. In addition to its magnetic capabilities this item also comes with a kick stand that provides a sturdy base to allow it to sit anywhere. Now any magnetic surface can proudly display these Super Magnetic Soccer Awards. 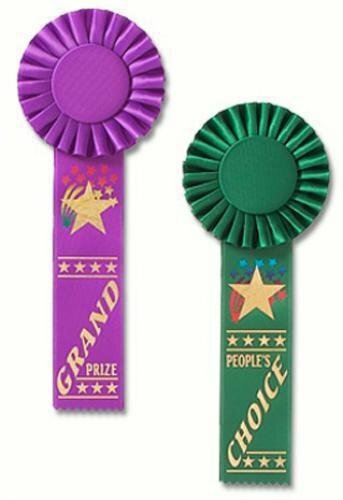 These awards come in both a male and female versions. In either version the players are shown using a bicycle kick to give the appearance of kicking the full color soccer ball for the winning goal. They stands 7" tall and boast a pewter and gold finish. The engraving area on the bottom of the awards can accommodate whatever personalization needs you require. In addition to its magnetic capabilities these items also come with a kick stand that provides a sturdy base to allow it to sit anywhere. Now any magnetic surface can proudly display this Super Magnetic Softball Award. The batter is shown with her bat down from the follow through swing and her head looking up to watch the ball sail over the fence. This item stands 7" tall and boasts a pewter and gold finish. 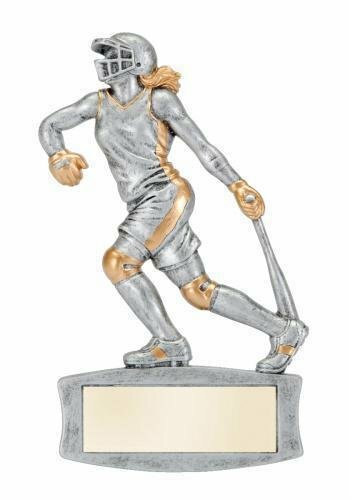 The engraving area on the bottom of the award can accommodate whatever personalization needs you require. In addition to its magnetic capabilities this item also comes with a kick stand that provides a sturdy base to allow it to sit anywhere.